NASHVILLE – November 13, 2018 – On the heels of CMT’s highest ratings in four years* and an historic all-female “CMT Artists of the Year” special, the network revealed the next group to join its celebrated Next Women of Country franchise at today’s annual event in Nashville. The nine artists joining the elite Next Women roster are Anna Vaus, Emily Hackett, Ingrid Andress, Lainey Wilson, Lauren Duski, Leah Turner, Rachel Wammack, Stephanie Quayle and Tenille Townes. The announcement was made by Little Big Town’s Karen Fairchild. Inaugural CMT Next Women of Country member and event co-host Cassadee Pope is set to headline her first-ever tour, joined by Clare Dunn and Hannah Ellis, when the CMT Next Women of Country Tour hits the road in early 2019.Tour routing and additional information will be announced soon. CMT today also revealed that Grammy Award-winner and 2018 CMT Artist of the Year Maren Morris has received the 2018 CMT Next Women of Country “Impact Award,” presented to a female artist that has impacted songwriting, recording, radio airplay, record sales, streams, media impressions, awards and touring in country music over the past year. The honor was presented by award-winning songwriter Natalie Hemby. The announcements come on the heels of CMT’s highest rated year since 2014 among Adults 18-49 and Women 18-49. Additionally, CMT has notched seven consecutive quarters of year-over-year ratings and share growth in Prime among Adults 18-49 and Women 18-49, and the network has either grown or maintained its year-ago share in Total Day for 23 consecutive months among Adults 18-49. A staunch advocate for country music’s female artists, CMT first launched its “Next Women of Country” campaign in 2013 in an effort to support and expose developing female talent, both signed and unsigned, in a male-dominated format. The campaign showcases emerging female artists across all CMT screens throughout the year, and in five years since its launch, CMT has expanded the initiative to include five CMT NEXT WOMEN OF COUNTRY Tours, anchored by superstar acts including Jennifer Nettles, Martina McBride and Sara Evans, a CMT.com digital series, NEXT WOMEN OF COUNTRY LIVE, and more. Notable alumnae of the franchise who have achieved both commercial and critical acclaim include Kelsea Ballerini, Maren Morris, Lauren Alaina, RaeLynn and Lindsay Ell. 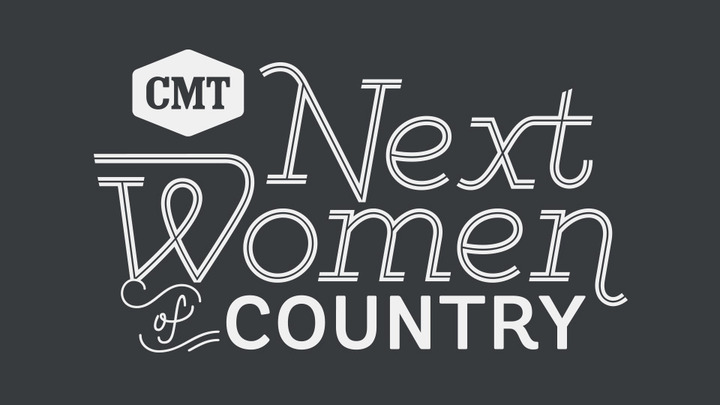 To join the conversation, follow along on social media using #CMTNextWomen.